This is for my Anna…the lover of Grandma’s carrot cake. I’m happy to serve this sweet treat to her for breakfast… All things “earthy” and yummy! 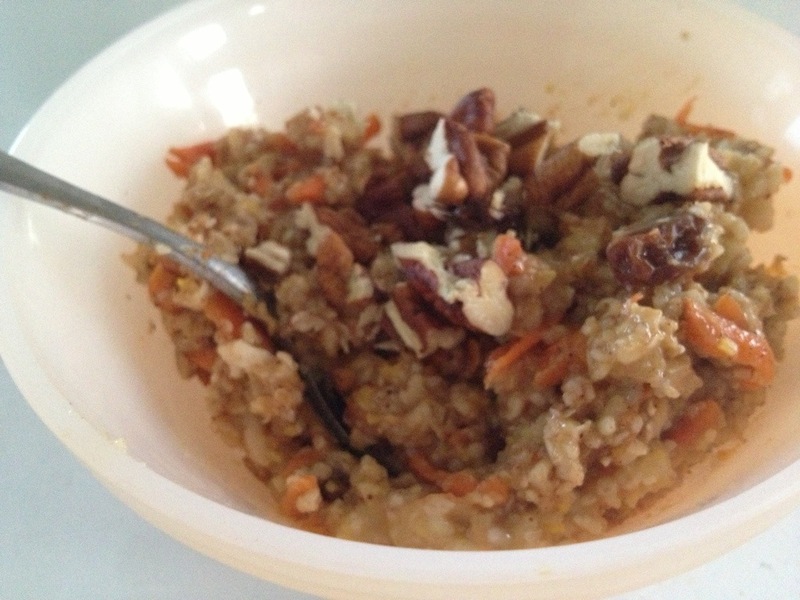 Cook oats according to directions (or however you normally prefer do it). Add in carrots, honey, spices, and vanilla. Stir until combined. Pour in almond milk and raisins and stir again. Top with pecans and an extra drizzle of honey.